Noticed how some car companies are afraid of commitment? At Orange Škoda, we embrace it. That’s why we’re proud to offer a 5 Year / Unlimited Kilometre Warranty^ across our entire range of vehicles. Conditions and exclusions apply. Our warranty reflects the great confidence we have in the build quality of our cars. More importantly, it’s our show of commitment to you. Promising peace of mind and an exceptional driving experience, wherever your journey takes you. ^5 Year Warranty consists of 3 Year Factory Warranty and 2 Year Factory Extended Warranty. 5 Year/Unlimited Kilometre Warranty is available with private, general fleet and government vehicles only. Excludes rental vehicles, hire cars, taxis, courier vehicles, driving school vehicles, security vehicles, bus and tour vehicles which are subject to a 5 Year/150,000 Kilometre Warranty. Your rights under this warranty sit alongside the consumer guarantees under the Competition and Consumer Act 2010 which cannot be excluded. A clear head is more important on the open road. Our warranty helps remove any pesky worries nipping at your wheels. 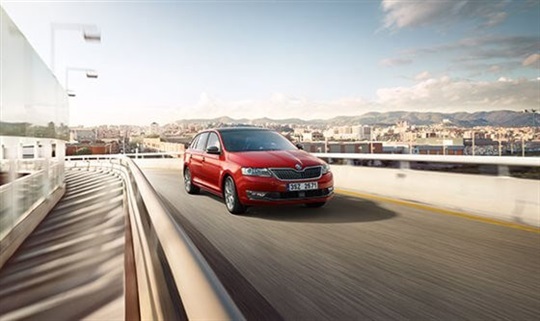 So enjoy peace of mind with our standard 5 year/unlimited km warranty^ as everything we do is designed to make sure your ŠKODA remains a ŠKODA, long after your purchase. Flat battery or tyre? Keys decide to part ways? Just call 1800 607 954 from anywhere in Australia, 24 hours a day, and we’ll help you out. It’s even complimentary for the first year. Find out more here. Thinking of upgrading to a newer model before the five years is up? No worries. The remaining warranty stays with the original car, making it even more desirable when you decide to sell.